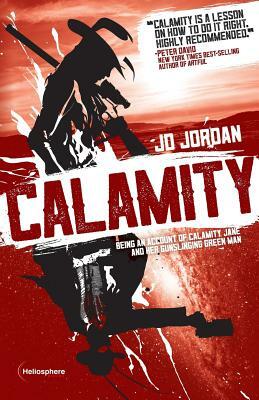 I'm sure you've heard of Calamity Jane, but this is not a novel about Calamity Jane. At least not the Jane you may have read about. Calamity Jane is part of the legends of the Wild West, but long before she scouted with Custer or "Wild Bill" Hickok, she was a fifteen-year-old girl with a fiery temper. Violence and tragedy turn young Jane's world upside down and soon she finds herself riding with an alien gunslinger--the Green Man--through a landscape of revenge and betrayal. So, forget what you know of how the West was won. Forget the Indian Wars and Custer's Last Stand. Instead, learn the truth of what happened when a young girl met a longrider she called the Green Man . . .